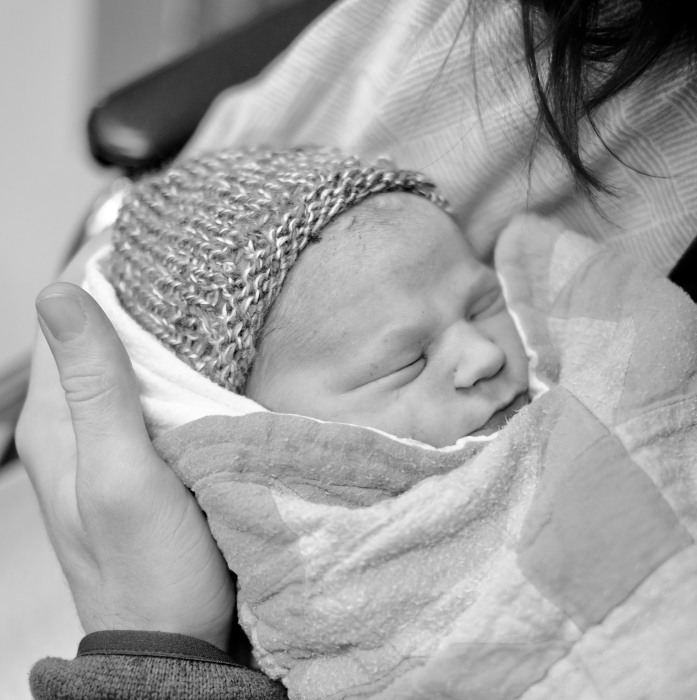 Aaron William Luce returned to God on February 2, 2019 with his parents beside him holding his hands. Aaron passed away after a brief battle for his life shortly after birth. He spent his few short hours on earth surrounded by his parents and a dedicated and caring team in the Red Deer Regional Hospital NICU. Although here for such a short time he touched many hearts and is loved deeply by many. His memory will be lovingly sustained by his family; parents David and Emma Luce; grandparents Slade and Suzanne McCormick and Brian and Gail Luce; aunts and uncles Thomas, Rachel and Matthew Luce and Findlay, Zoe, Rowen, and Gabriel McCormick; great grandparents Robert and Donna Luce, Stuart and Sharon McCormick, and Michael and Jeanette Murphy; and many more extended family and friends. Aaron was predeceased by great grandparents Ardith and Lynn Ralph. A service will be held for Aaron on Saturday, February 9, 2019 at 1:00 p.m. at the Rimbey Christian Reformed Church. All who would like to attend are welcome.